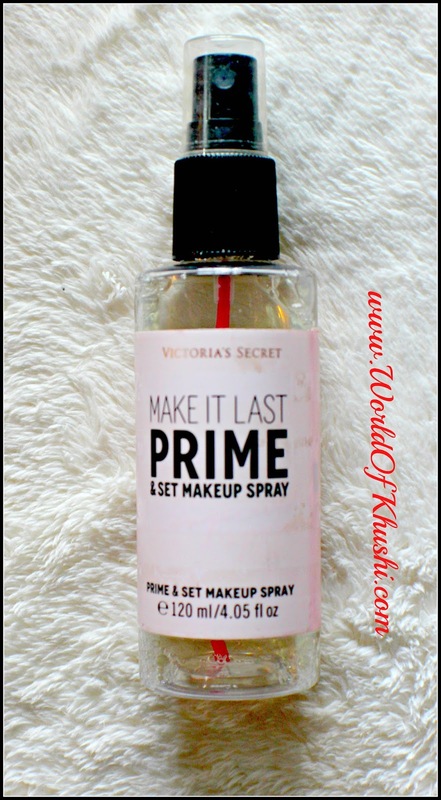 In today's post I am Reviewing Victoria’s Secret Make It Last Prime and Set Makeup Spray. I am using this product from last 2 years, I heard that this product has been discontinued still thought to Review them as sometimes you can get discontinued products on Amazon or Ebay. I got this product from Victoria's Secret, I love their Perfumes and Body Oil, never tried their Makeup line. When I saw this product so thought to give it a try. I am very impressed with this Makeup Setting Spray! You can use this as a Primer and also as a Fixing/Setting Spray. Usually love to use this as Setting Spray. Below is my full Review for Victoria’s Secret Make It Last Prime and Set Makeup Spray. It comes in a round transparent spray bottle, the bottom part is transparent with pale pink sticker and black color written and the upper part is spray part in black color. The texture is colorless and odourless, water like consistency. When you apply this product it's bit sticky and takes around a minute to dry. As primers it minimize the pores and give a smooth base. It costs $14 for 120 ml. I bought this from Victoria's Secret. Currently it is super sensitive & dry. I like to apply this product as a finishing spray after my Makeup. In summers; I like to apply under Makeup too. 1. Holds your Makeup for pretty long 6-7 hours. 3. Great as Primer too. 4. Give smooth base for Makeup. 8. 2-in-1 product; primer and setting spray. 1. In Winters, it's bit drying specially if you have dry skin otherwise great in Summers. 2. Your skin gets stretched after apply as primer but after applying Makeup it gets normal. If you get chance to buy this product then do try. Yes!! If I able to find this product. I guess it's discontinued!! I like to give it 4.5/5. I am using this one from last 2 years, really like it. This is my full Review for Victoria’s Secret Make It Last Prime and Set Makeup Spray. Overall! I love this Setting Spray. Unfortunately it is discontinued here but last time I checked it was available on Amazon, let's see if I get it. In your country if it is still available then do try. I hope you girls have got some idea about this product. I wish you all the very best. Let me know your thoughts about this product. For more such Reviews stay tuned with Khushi's World. If you guys want me to do any Review of your choice then do let me know!! Guys do like the post & share it with everyone. 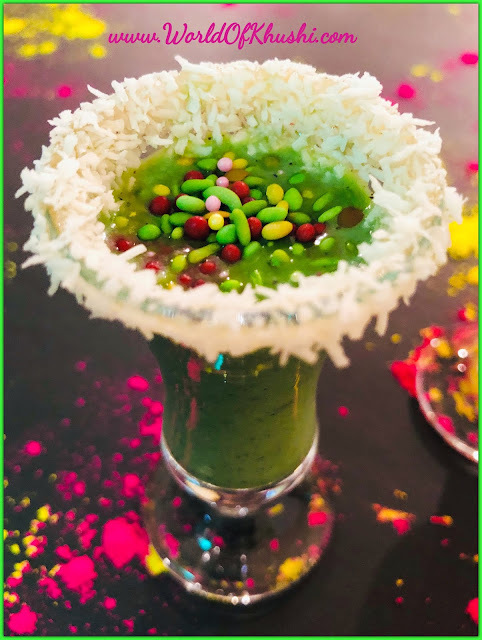 Follow me on Khushi's World Facebook Page, Google+ , Instagram and Pinterest for more Posts.I will see you in another post till then take care! !